You need the latest version of Opinion Rewards (v20180404) to get the personal info settings. You'll find them under Settings > Personal information. You can change your age, gender, and location/language. The location change will probably be of the most use. 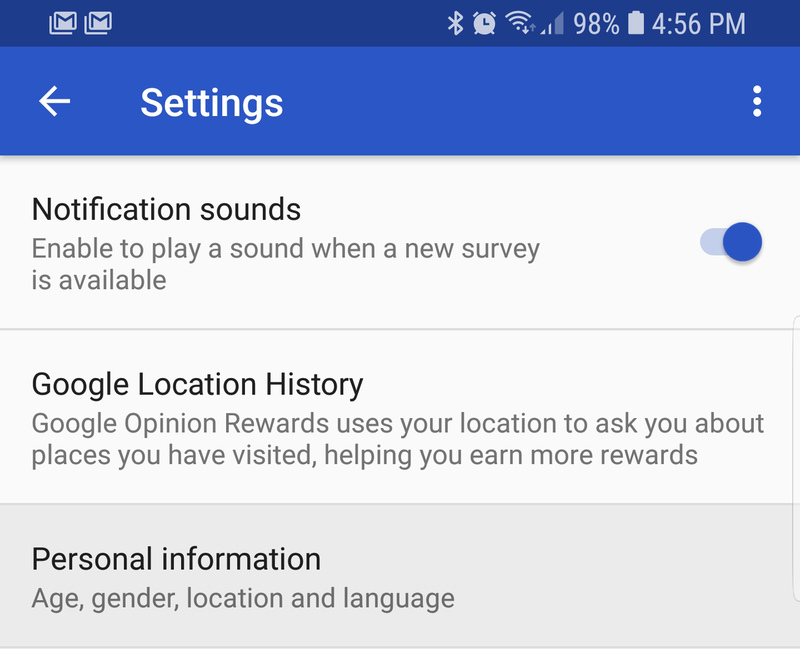 If you move to another area, you might want to get surveys based on that. Language changes are handy too in case you chose poorly when first setting up the app. Depending on where you set your location, the app lets you pick between different languages. In the US, you get English or Spanish. The information entered in Opinion Rewards is only used to target surveys. 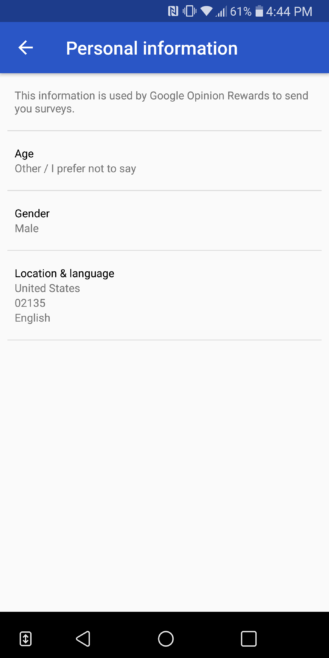 It's not related directly to your main Google profile info, so this is the first time you've been able to change what the app knows about you. Grab the new version on APK Mirror right now if you want to make a change.